Goodreads: Every first Sunday in June, members of the Moses clan gather for an annual reunion at a sprawling hundred-acre farm in Arkansas. 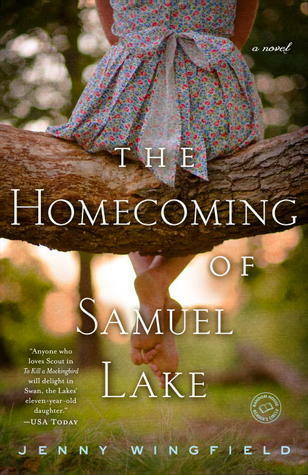 And every year, Samuel Lake, a vibrant and committed young preacher, brings his beloved wife, Willadee Moses, and their three children back for the festivities. In the midst of it all, Samuel and Willadee’s outspoken eleven-year-old daughter, Swan, is a bright light. Her high spirits and fearlessness have alternately seduced and bedeviled three generations of the family. But just as the reunion is getting under way, tragedy strikes, jolting the family to their core and setting the stage for a summer of crisis and profound change. Kritters Thoughts: What I would describe as Southern fiction which has heart and soul, but for me it didn't go far. Set in a family that starts with crisis and ends with crisis the middle dragged a bit. Swan Lake is the daughter of Willadee and Samuel and as she attends the yearly family reunion, tragedy strikes, and her family must help pick up the pieces. They stay in town for many reasons and life goes on until another tragedy occurs - I may sound vague, but if this book is your thing, I can not ruin it for you. So the characters are what absolutely shined in this book, they kept me reading page to page because they were well rounded and trying to live life to the fullest surrounded by family. I adored Swan Lake and watching her grow up through this book, someone blurbed my copy as an omage to Scout from To Kill a Mockingbird and I definitely agree! I wanted there to be a little more drama, but if you are a fan of slow Southern fiction than this book is one worth picking up. Darn, I'm sorry to see that this wasn't a favorite for you, but thanks for sharing your thoughts for the tour.